Some four decades since his remarkable debut, John Prine is a rare musical talent who writes the songs other songwriters would sell their souls for. 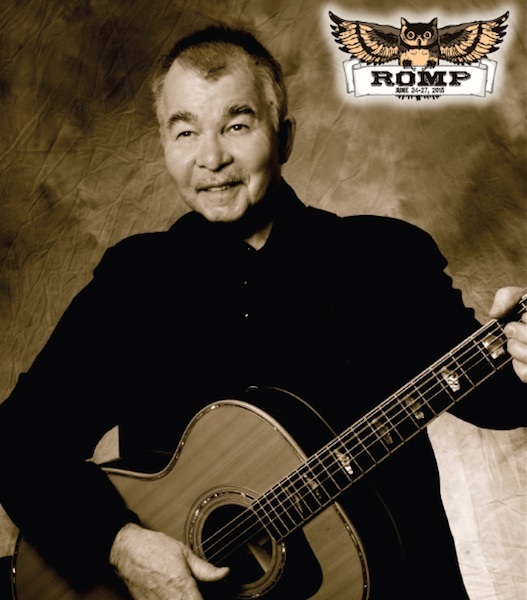 Long considered a “songwriter’s songwriter,” John Prine’s extensive catalog has been recorded by the likes of Johnny Cash, Bonnie Raitt, Kris Kristofferson, Carly Simon and many others. John Prine was recently honoured at the US Library of Congress by Poet Laureate Ted Kooser. Prine has been elevated from the annals of songwriters into the realm of bonafide American treasures. For a very limited time on December 12, ROMP 4-day passes will be available for the incredible price of $100. Act quickly. Sale begins 12th December at noon CST and runs until midnight.